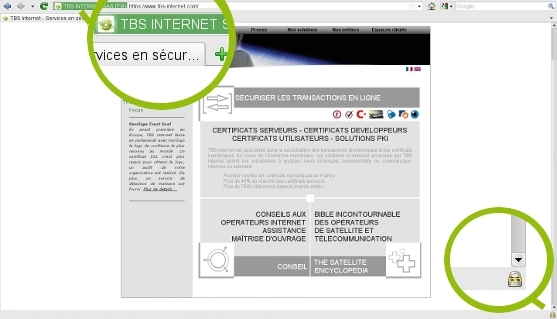 TBS Internet placed on its website new visual elements indicating each product authentication level with stars. Why ? What's the authentication? How to use this information when choosing your SSL certificate? 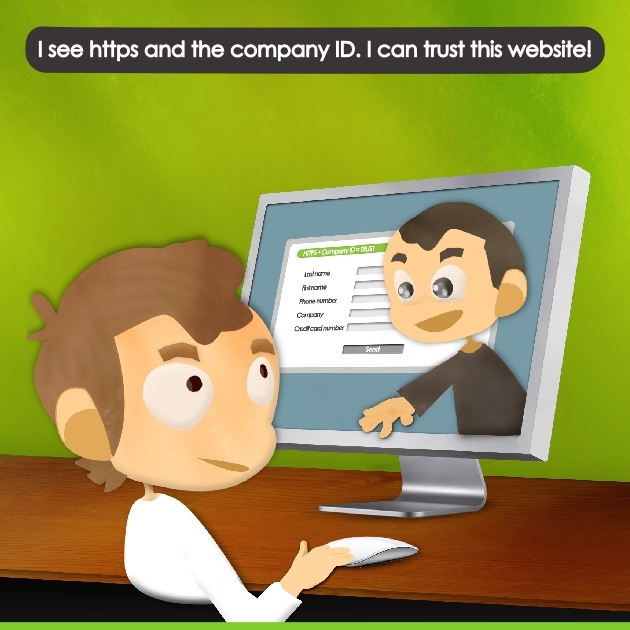 authentication: it is the identification of the website's owner. The authentication level varies with the kind of certificate: it is null for a domain validated certificate and complete for an Extended Validation one. Why choosing a good authentication level? You're on an e-commerce website and are about to buy goods after having spoted the safe lock. You are then reassured and place an order and give, whitout much thought, your credit card information. Conclusion: Those information can only be read by the owner of the website. YES, BUT WHO'S THE OWNER? WHAT DO YOU KNOW ABOUT HIM? 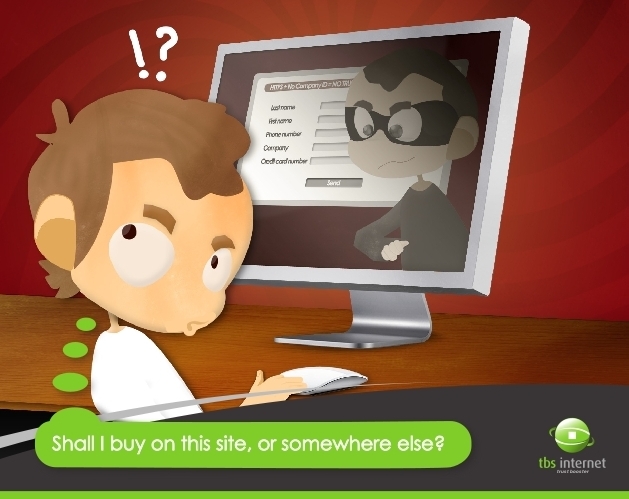 1-factor SSL certificates (aka Domain Validated) can be bought by anybody for they are delivered without any audit. They then display the safe lock but can be owned by hackers. They are usually used on phishing websites to throw webusers into confusion. Phishing is a Website graphic ID fraud that aims to intercept personal data that web user will give thinking they are on a genuine website. Each authentication level matches an audit type. The higher the authentication, the higher the audit level will be. One star: 1-factor (domain validated): those certificates do not provide any information about their owners. We strongly advise to use them on showcase websites (without connection, forms nor transaction) only. Two stars: 2-factor: not numerous in our range of products, those SSL certificates are delivered after a simple audit: the company's ID is seeked and a domain's control test is made. Three stars: 3-factor: intermediary certificates, they require a stronger audit. We check the real existence of the company and of the website and we make sure that it is the company that actually required the certificate. Four stars: 6-factor: those are Extended Validation certificates, the most secured on the market. We check the existence of the company, the ownership of the website (whois), the manager that appears on legal documentation (K bis)... This kind of certificate can't be usurpated and can't be sold to companies that are less than 3 years old. They display the green address bar on most browsers, the name of its owner and the certification authority in the URL bar. Whatever constraints may those certificates represent, TBS Internet guides you during every step to ease your SSL certificate issuance. WILL YOU BE ABLE TO SPOT THE FRAUD? Answer that question thanks to our ILLUSTRATED QUIZZ. Through 10 questions, find out about the hackers tricks to get to your personal data and learn how not to let yourself trapped.